The Reason God Sent Jesus! Thank you for joining us, as we prayerfully continue the Feast in Judges, Chapter 2 ; “The angel of the Lord rebukes the people. 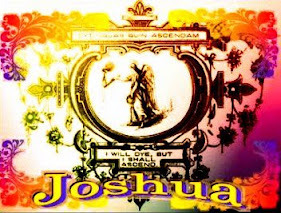 (1-5) The wickedness of the new generation after Joshua. (6-23)” – Matthew Henry Concise. These were God’s chosen people He brought them out of slavery and gave them a land filled with milk and honey. We may think they would be eternally grateful. But They loved the world more than they loved God; “11 And the people of Israel did what was evil in the sight of the Lord and served the Baals. 12 And they abandoned the Lord, the God of their fathers, who had brought them out of the land of Egypt. They went after other gods, from among the gods of the peoples who were around them, and bowed down to them. And they provoked the Lord to anger.” Judges 2:11-12, ESV. After the elders who loved the Lord died and new generations came to power and they turned their backs on God. We see the same thing happening in our world today. But it’s not too late according to God’s Word: “14 if my people who are called by my name humble themselves, and pray and seek my face and turn from their wicked ways, then I will hear from heaven and will forgive their sin and heal their land.” 2 Chronicles 7:14, ESV. That’s it Saint, instead of complaining, instead of depending on political parties, we need to go to God and ask Him to heal our land. God isn’t waiting for us to mess up, God said that He wanted to save us; “9 The Lord is not slow to fulfill his promise as some count slowness, but is patient toward you, not wishing that any should perish, but that all should reach repentance. “ 2 Peter 3:9, ESV. That’s the reason God sent Jesus to redeem us! Let us continue to keep the first thing first. That is salvation through the blood of Jesus. Would you like a more abundant life”? Do you know that God has a plan that includes a personal relationship with you? You are an eternal being, where you spend eternity depends on your relationship with God? If you want to be sure, turn from sin and just say this simple prayer; “ Dear God, I am a sinner and need forgiveness. I believe that Jesus Christ shed His precious blood and died for my sin. I am willing to turn from sin. I now invite Christ to come into my heart and life as my personal Savior.“ If you said this prayer inviting Jesus into your heart. Now turning from sin, and seek fellowship just as we do. We worship and fellowship in a Church (group of believers) that strives to measures up to God’s Word. You need a Bible believing body of believers (church) to worship and pray with. Our salvation depends completely on God! We are the Saints that Jesus sacrificed his life to pay in full for our sin, when we repent (turn from sin) and accept Jesus. If you have trouble finding a good bible believing church in your neighborhood send me an email and I’ll see if I can help; mlitew8@yahoo.com. If you still have questions please click the following link; admenu.com/calling.html. 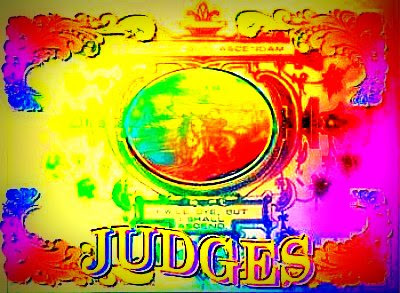 Thank you for joining us, as we prayerfully continue the Feast in Judges, Chapter 1 ; “The book of Judges is the history of Israel during the government of the Judges, who were occasional deliverers, raised up by God to rescue Israel from their oppressors, to reform the state of religion, and to administer justice to the people. The state of God’s people does not appear in this book so prosperous, nor their character so religious, as might have been expected; but there were many believers among them, and the tabernacle service was attended to. The history exemplifies the frequent warnings and predictions of Moses, and should have close attention. The whole is full of important instruction. Proceedings of the tribes of Judah and Simeon. (1-8) Hebron and other cities taken. (9-20) The proceedings of other tribes. (21-36)” – Matthew Henry Concise. This is the first chapter in Judges the Lord’s people were supposed to kill all the inhabitants and they failed; “27 Manasseh did not drive out the inhabitants of Beth-shean and its villages, or Taanach and its villages, or the inhabitants of Dor and its villages, or the inhabitants of Ibleam and its villages, or the inhabitants of Megiddo and its villages, for the Canaanites persisted in dwelling in that land.” Judges 1:27, ESV. God turned their failure into blessing; “28 When Israel grew strong, they put the Canaanites to forced labor, but did not drive them out completely.” Judges 1:28, ESV. Every person falls short of the glory of God (Romans 3:23) our hearts are continually evil. But God loves us so much he sent his only son Jesus to pay for our sins; turning our failure into blessing; “16 “For God so loved the world, that he gave his only Son, that whoever believes in him should not perish but have eternal life. “ John 3:16, ESV. We’ll continue to keep the first thing first. That is salvation through the blood of Jesus. Is Jesus calling to you? Do you want to answer before God stops calling? Do you want to find true happiness, peace and purpose in your life? If the answer is yes to any of these questions please click the following link; admenu.com/calling.html. Choose Whom You Will Serve! Thank you for joining us, as we prayerfully continue the Feast in Joshua, Chapter 24 ; “God’s benefits to their fathers. (1-14) Joshua renews the covenant between the people and God. (15-28) Joshua’s death, Joseph’s bones buried, The state of Israel. (29-33)” – Matthew Henry Concise. This is the last chapter in Joshua before we move on there is one more thing we need to do today and that is; Choose Whom You Will Serve; “14 Now therefore fear the Lord and serve him in sincerity and in faithfulness. Put away the gods that your fathers served beyond the River and in Egypt, and serve the Lord. 15 And if it is evil in your eyes to serve the Lord, choose this day whom you will serve, whether the gods your fathers served in the region beyond the River, or the gods of the Amorites in whose land you dwell. But as for me and my house, we will serve the Lord.”” Joshua 24:14-15, ESV. I feel that this is another reason to share the Feast. I hope that you know it belongs to Jesus and you can copy and share it as God leads you. “[ I Am the Light of the World ] 12. Again Jesus spoke to them, saying, “I am the light of the world. Whoever follows me will not walk in darkness, but will have the light of life.”” John 8:12, ESV. Encourage as many others as you can to follow Jesus. That’s what it means to have the light of the Lord. Don’t be an undercover Christian; because it is not God’s will for us. “13 “You are the salt of the earth, but if salt has lost its taste, how shall its saltiness be restored? It is no longer good for anything except to be thrown out and trampled under people’s feet. “ Matthew 5:13-15, ESV. What a pleasure it is to share the Feast with you, the saints who are full of love and light. “Since we have these promises, beloved, let us cleanse ourselves from every defilement of body and spirit, bringing holiness to completion in the fear of God.” 2 Corinthians 7:1, ESV. Let us continue to cherish our personal relationship with Jesus. Allowing our light to be our testimony. Keeping the first thing first. That is salvation through the blood of Jesus. I Await Your Prayerful Comments! Thank you for joining us, as we prayerfully continue the Feast in Joshua, Chapter 23 ; “Joshua’s exhortation before his death. (1-10) Joshua warns the people of idolatry. (11-16)” – Matthew Henry Concise. Joshua says farewell to God’s chosen people, and talks about God’s blessings on them. In doing so he warns them not to turn to the evil ways of the people God conquered for them; “14 “And now I am about to go the way of all the earth, and you know in your hearts and souls, all of you, that not one word has failed of all the good things that the Lord your God promised concerning you. All have come to pass for you; not one of them has failed. 15 But just as all the good things that the Lord your God promised concerning you have been fulfilled for you, so the Lord will bring upon you all the evil things, until he has destroyed you from off this good land that the Lord your God has given you, 16 if you transgress the covenant of the Lord your God, which he commanded you, and go and serve other gods and bow down to them. Then the anger of the Lord will be kindled against you, and you shall perish quickly from off the good land that he has given to you.”” Joshua 23:14-16, ESV. Previously we have stated that God never changes. So the question I am posing is can we lose our salvation? I’m inclined to believe that if we truly continue to love God with all our heart, turn to Jesus and confess our sins, truly repent from them and ask forgiveness, Jesus will never let us fall. I don’t think we should have to put up with unnecessary traditions, which are from men. I do believe that if we love God we will continue to live a Godly lifestyle. The believers in Antioch received these instructions; “23 with the following letter: “The brothers, both the apostles and the elders, to the brothers who are of the Gentiles in Antioch and Syria and Cilicia, greetings. 24 Since we have heard that some persons have gone out from us and troubled you with words, unsettling your minds, although we gave them no instructions, 25 it has seemed good to us, having come to one accord, to choose men and send them to you with our beloved Barnabas and Paul, 26 men who have risked their lives for the name of our Lord Jesus Christ. 27 We have therefore sent Judas and Silas, who themselves will tell you the same things by word of mouth. 28 For it has seemed good to the Holy Spirit and to us to lay on you no greater burden than these requirements: 29 that you abstain from what has been sacrificed to idols, and from blood, and from what has been strangled, and from sexual immorality. If you keep yourselves from these, you will do well. Farewell.”” Acts 15:23-29, ESV. Therefore in order for Christians to stand they will continue to be doing God’s Word. Jesus died once for all of our sin. This was beforehand, not only before our sins but before our very existence. “35 Therefore do not throw away your confidence, which has a great reward. 36For you have need of endurance, so that when you have done the will of God you may receive what is promised. “ Hebrews 10:35-39, ESV. Jesus did his part, He lived a sinless life then was sacrificed for all sin. With this in mind should we ever go back to the slave master in sin? “For if we live, we live to the Lord, and if we die, we die to the Lord. So then, whether we live or whether we die, we are the Lord’s.” Romans 14:8, ESV. We cherish our personal relationship with Jesus. Allowing our actions be our testimony. Then we will keep the first thing first. That is salvation through the blood of Jesus. What All Believers Must Do? Thank you for joining us, as we prayerfully continue the Feast in Joshua, Chapter 22 ; “Reuben and Gad, with the half tribe of Manasseh, dismissed to their homes. (1-9) They build an altar of testimony, The congregation offended thereat. (10-20) The answer of the Reubenites. (21-29) The children of Israel satisfied. (30-34) – Matthew Henry Concise. Joshua gives the Israelite s good advice. It seems that it is not good enough to have God’s commandment. To be successful in a relationship with God you need to do the commandment. “5 Only be very careful to observe the commandment and the law that Moses the servant of the Lord commanded you, to love the Lord your God, and to walk in all his ways and to keep his commandments and to cling to him and to serve him with all your heart and with all your soul.” Joshua 22:5, ESV. Now we’ve looked at the fact that God never changes. There are many people who call themselves Christians. Not all of them would consider doing what Jesus said was the greatest commandment of all. “36 “Teacher, which is the great commandment in the Law?” 37 And he said to him, “You shall love the Lord your God with all your heart and with all your soul and with all your mind. 38 This is the great and first commandment. 39 And a second is like it: You shall love your neighbor as yourself. 40 On these two commandments depend all the Law and the Prophets.”” Matthew 22:36-40, ESV. It is so very important to our relationship with Jesus. Each Saint must ask themselves; “Am I a doer of the Word or a hearer only? “But be doers of the word, and not hearers only, deceiving yourselves.“ James 1:22, ESV. Jesus did his part; He lived a sinless life then was sacrificed for all sin. Jesus overcame death when he arose from the tomb. To trust Jesus in a personal relationship, we must be doers of the Word. It really is a personal choice. Ask yourself, am I doing the commandment that all believers must do? Only you can answer that question and only you can pose it to yourself. “[To the Church in Laodicea] “And to the angel of the church in Laodicea write: ‘The words of the Amen, the faithful and true witness, the beginning of God’s creation. Behold, I stand at the door and knock. If anyone hears my voice and opens the door, I will come in to him and eat with him, and he with me.” Revelation 3:14,20, ESV. Let’s keep and nourish our personal relationship with Jesus. Let your actions be your testimony. Then we can continue to keep the first thing first. That is salvation through the blood of Jesus. Thank you for joining us, as we prayerfully continue the Feast in Joshua, Chapter 21 ; “Cities for the Levites. (1-8) The cities allotted to the Levites. (9-42) God gave the land and rest to the Israelites, according to his promise. (43-45) – Matthew Henry Concise. Every square inch of land God promised to Israel delivered by God. “43 Thus the Lord gave to Israel all the land that he swore to give to their fathers. And they took possession of it, and they settled there. 44 And the Lord gave them rest on every side just as he had sworn to their fathers. Not one of all their enemies had withstood them, for the Lord had given all their enemies into their hands. 45 Not one word of all the good promises that the Lord had made to the house of Israel had failed; all came to pass.” Joshua 21:43-45, ESV. Our God is the same today, yesterday and forever. God doesn’t change, He is dependable in all of his ways. “Jesus Christ is the same yesterday and today and forever.” Hebrews 13:7-9, ESV. I know that this particular scripture is speaking of Jesus. If you know Jesus you know that he and the Father and the Holy Ghost are one. That is why I stand firm on what I said before; “’Know therefore that the LORD your God is God; he is the faithful God, keeping his covenant of love to a thousand generations of those who love him and keep his commandments.’“ Deuteronomy 7:9, ESV. It is truly God who gave you freedom from sin when you accepted His gift, Jesus. Trust Him, Jesus paid for all of your sin. When you slip return to him for forgiveness. “For we are his workmanship, created in Christ Jesus for good works, which God prepared beforehand, that we should walk in them.” Ephesians 2:10, ESV. We can continue to keep the first thing first. That is salvation through the blood of Jesus. Thank you for joining us, as we prayerfully continue the Feast in Joshua, Chapter 20 ; “The law concerning the cities of refuge. (1-6) The cities appointed as refuges. (7-9)– Matthew Henry Concise. Each of the tribes had to take possession of that which God provided for them. After the allotments were made God made provisions for the persons that commit manslaughter. That is accidentally killing a person. “9 These were the cities designated for all the people of Israel and for the stranger sojourning among them, that anyone who killed a person without intent could flee there, so that he might not die by the hand of the avenger of blood, till he stood before the congregation.” Joshua 20:9, ESV. Take notice that this does not include murders because of hate, prejudice or any malice. When a person sins accidentally there is still that price to pay. That is why we must go to God for forgiveness even when we accidentally sin. Our God is awesome and sinless and cannot tolerate sin. “8 If we claim to be without sin, we deceive ourselves and the truth is not in us. 9 If we confess our sins, he is faithful and just and will forgive us our sins and purify us from all unrighteousness. 10 If we claim we have not sinned, we make him out to be a liar and his word is not in us.” 1 John 1:8-10 ESV. For these reasons we have to be real and confess sin for what it is. If the speed limit is 70 MPH we can’t drive at 75 MPH just because we won’t get stopped. Even if we catch ourselves doing 74 MPH and slow down right away, we have still sinned. We need to take our sins to Jesus and ask forgiveness. This is only one example of sin we’ll realize it every time we sin. Take those sins to Jesus in prayer and ask forgiveness. If you caught sinning admit that you’re sorry and pay the fine! “Know therefore that the LORD your God is God; he is the faithful God, keeping his covenant of love to a thousand generations of those who love him and keep his commandments.“ Deuteronomy 7:9, ESV. It is truly God’s gave you freedom from sin when you accepted Him. Trust Him, Jesus paid for all of your sin. When you slip return to him for forgiveness. “[God Is Our Fortress] To the choirmaster. Of the Sons of Korah. According to Alamoth. A Song. God is our refuge and strength, a very present help in trouble.” Psalm 46:1 , ESV. Let’s continue to keep the first thing first. That is salvation through the blood of Jesus. I send the Feast out as the Holy Spirit inspires me. If the Lord Is willing I’ll send and post the Feast again tomorrow.